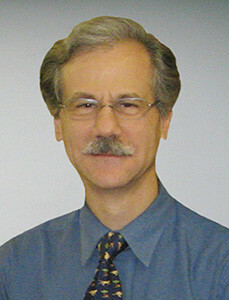 Seth L. Pullman, MD, FRCPC, Professor, Department of Neurology, and Director and Founder, Clinical Motor Physiology Laboratory, has been involved in basic and clinical motor physiology research since 1985. A graduate of McGill University School of Medicine, he did his neurology residency at The Montreal Neurological Institute of McGill University. He then went on to a Medical Staff Fellowship in the Laboratory of Neurophysiology at NIH under Dr. Edward V. Evarts. He is a board certified neurologist and electromyographer. He designed and implemented the Clinical Motor Physiology Laboratory at the Neurological Institute of New York to investigate motor physiology issues at Columbia University and help link the Movement Disorder Group with Clinical Neurophysiology. He publishes clinical papers in motor physiology, along with his colleagues at Columbia University and affiliated institutions, including an American Academy of Neurology position statement on the use of surface EMG and on novel software to evaluate tremors, musical performance and handwritten spirals. Dr. Pullman also co-directs the Center for Movement Disorder Surgery where his team guides the placement of deep brain stimulation electrodes with physiological mapping, and tests patients before and after surgery. * Please verify insurance participation with the physician’s office when making an appointment.